The modular transmission system TraXon for mobile cranes and special vehicles. The automatic transmission system TraXon is the universal solution covering a broad range of applications in medium and heavy special vehicles and mobile cranes. With a completely new basic transmission and optional modules, TraXon meets the demand of the market for a versatile transmission concept for different driving applications and satisfies the most challenging requirements. The option for intelligent networking with other vehicle systems puts new standards in the areas of efficiency, comfort and application diversity. 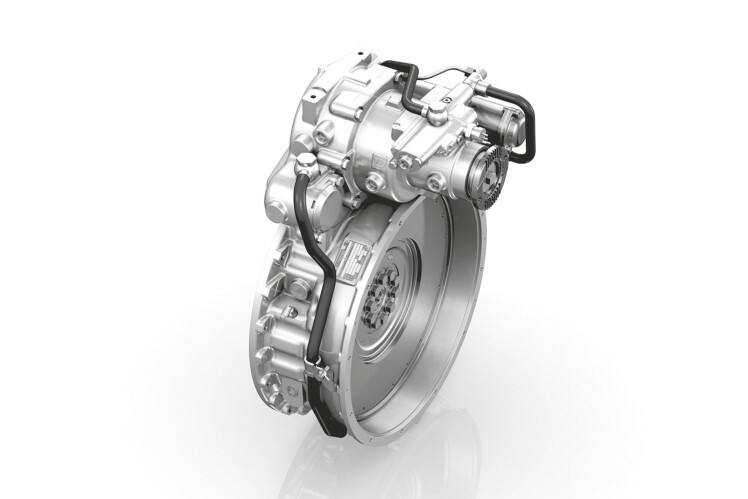 The innovative transmission combines several contradictions at the same time: It offers higher torques without compromising the power-to-weight ratio, it has a higher gear spread and at the same time improved noise quality, and, depending on the application, it can be driven by a dry clutch but also by a torque converter clutch, or it can be combined with an engine-dependent PTO. 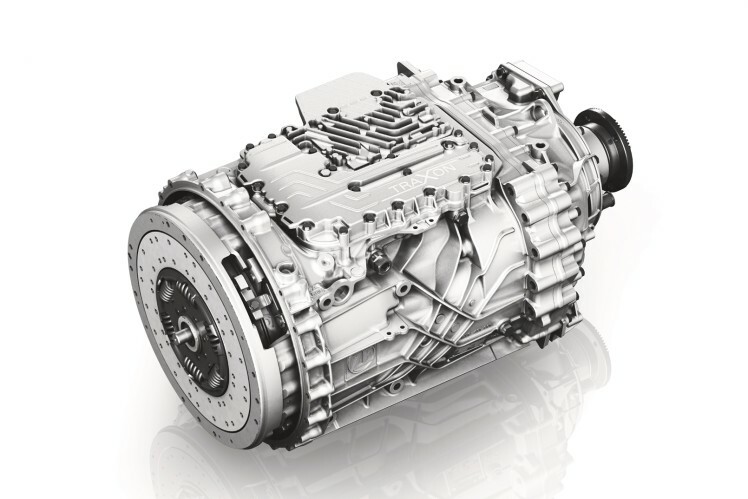 With the TraXon and a vast number of innovations at the transmission hardware and the control software, ZF sets new standards and enables an enormous functional diversity in the transmission system. One basic transmission with optional modules can deliver the optimum solution for every application. 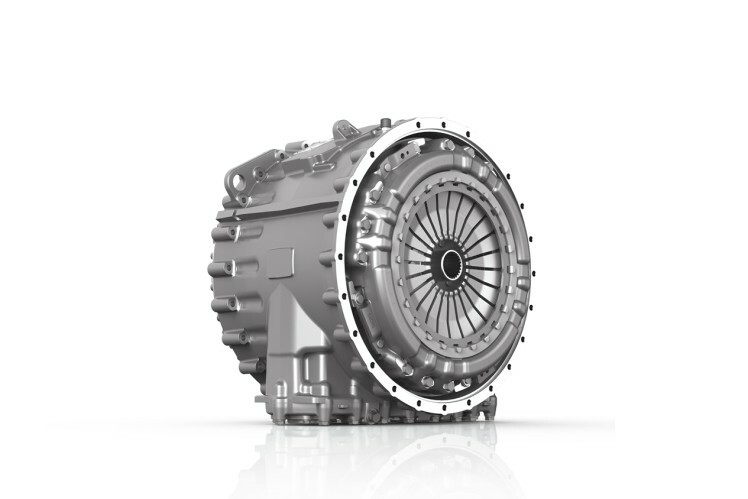 TraXon, the automatic transmission, was developed to live up to future needs: More performance with less fuel consumption and more application diversity with less customization effort. The solution: A single basic transmission was designed for different vehicles and applications can be customized individually by utilizing optional modules. The modular system opens up new dimensions in terms of performance, economy, environmental compatibility, and comfort - exactly where it is required. The module for setting off that is up to everyday challenges and functions reliably over time - whether over long-distances or during heavy transport. 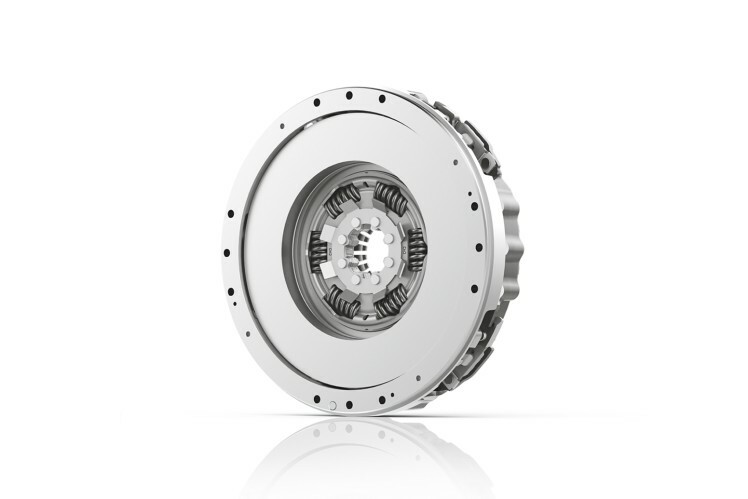 The single and dual-disc clutches were designed for precise and effective power transmission and a long service life. The engine-dependent PTO module is for special usage and a wide variety of applications. No matter whether in fire trucks, concrete pumps and mixers, mobile cranes or drill and winch drives: The PowerDivide is an independent module that can always be acuated, even in on-load operation and it withstands highest loads and stresses – of course, also while in continuous operation. The module for zero-wear setting off with the heaviest vehicles. When heavy equipment is used, the torque converter clutch with hydrodynamic torque converter is the best choice to get things moving quickly and smoothly - also for the driveline. And if you want to stop the heavy commercial vehicle, the integrated primary retarder ensures reliable and zero-wear braking. Before the series start of TraXon transmissions in mobile cranes from Liebherr, Liebherr and ZF engineers joined forces to develope features of the drive train. Professionals are already impressed by TraXon‘s high-performance technical ratings. The transmission also scores highly for its wide range of special features. The networking between the transmission and the GPS system enables an predictive driving strategy that ideally adapts the shift sequence to the topography. New transmission functions are possible. On gently sloping gradients, the driveline is decoupled to use the vehicle‘s available momentum. For this purpose, the transmission goes into neutral. The vehicle can now simply coast. A maneuvering mode is available for extremely slow driving. In maneuvering mode, the vehicle responds sensitively to accelerator pedal movements. This transmission function supports the „Engine OFF“ function during longer stops (for example with long traffic light phase). The transmission stays ready for a quick start. Advantage: fuel efficiency, less emissions. The system temporarily maintains the brake pressure in case of setting off on a slope when switching from the brake pedal to the accelerator pedal. Gear changes are avoided to a large extent to guarantee powerful thrust on difficult terrain. If a gear change is performed, the transmission carries out the change quickly. The rock-free function helps a stuck vehicle break free and set off. If the function is active, the transmission does not shift. The driver only has to gently apply the accelerator pedal to rock the vehicle free.